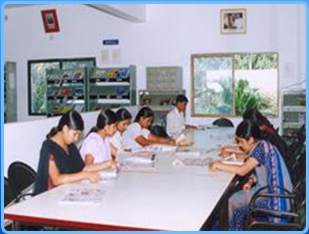 This institute is popularly known as RNSIT which is located in the Karnataka state in its capital city, Bengaluru. This institute is functioning under an educational society established with a vision to train and nourish the students of the institute with a skill based technical and managerial knowledge. This institute aims at enhancing the student’s career by providing adequate skills and helps them excel throughout their career. The institute endorses research and development activity alongside teaching to make the students adaptable to the industry. Canteen, Sports, WiFi, Auditorium, etc. For B.Tech course at this institute candidates will have to fulfill the eligibility criteria of KCET and COMEDK entrance examination. The cutoff criteria for MBA course through PGCET would be approximately 1414 for all the courses. Placement at RNSIT is excellent as the students are provided with pre placement training and the institute invites top companies for campus recruitments. Frequently visited recruiters are Bosch, Novellus, ABB, Rambus, Microsoft, HP, Intellecap, and many such top industries. Hostel at RNSIT were well marinated by eth staffs and the students were provided with every possible facilities to make their stay comfortable. Mess at this institute was hygienic and the food quality was good with rotational menu, which is more of south Indian food. Scholarships are provided to some of the meritorious students belonging to the backward category. Wards of defense personals working in Karnataka are also provided with special scholarships. This college offers very good placements. From recent reports it is concluded that the placements shoot up every year. Infrastructure is something that stands out in this college. 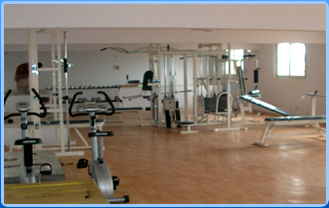 This college has a well-equipped multipurpose gym .Libraries and labs are well maintained and furnished. 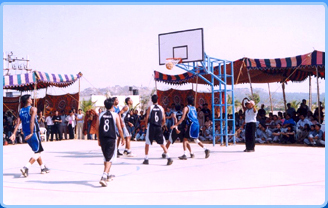 The sports complex and auditorium are almost every student’s favourite place in this college. Food in the canteen is good. The faculty members are well qualified with 20 to 30 years of experiences and highly knowledgable. They also take special care and concern of every individual and aims in contributing equally to everyone’s future development. Professors guide students on a day to day basis. Faculty members organise frequent industrial visits which enables students to get a wide exposure. Fests and events are organized frequently in this college. Hence, many students indulge and participate in the fests conducted and in many extracurricular activities. The companies which come here for placements are well reputed which includes TCS, Accenture and may other MNC's. This college gives students an opportunity to gain wide exposure. Work hard, get placed and enjoy your life like a boss. RNSIT is one of the popular college and it’s a good brand because they have very good education and placement and now college have Wi-Fi facility and having Internet speed of 30 Mbps leased line. The college has a canteen facility inside the college in which both South Indian and North Indian dishes are available. I have done my B.tech in CS and this college provides many thing and I am 100% sure you also like this college and faculty are very good and friendly and college organized many sports programs like Cricket, Football, Basketball etc. and this will very helpful for you. It is a very famous college in Bangalore and inside the college all the facilities are available and college has currently 3 hostel 2 boys and a girls and these hostels accommodate around approx 520+ boys and 250+ girls boarders. Regarding course fee structure, hostel fees and entrance exam cut-offs rank? The RNS Institute of Technology is one of the premier college offering the good courses with various specializations and the courses offered are B.E, M.Tech, MCA,MBA and Ph.D courses the faculties of the college are very highly qualified and they have more experience in the teaching field and the course curriculum of the college is very easy for the students as it is affiliated to the VTU, Belgaum. The placements are good in the RNS Institute of Technology and the college has 100% placement of the students and the students will get placed in the reputed companies. The companies which visit the college will always recruit much number of students at a time. The highest package offered was 27 LPA and the average salary package offered was 4 LPA. Are you Interested in " RNS Institute of Technology"? Please provide the following details.